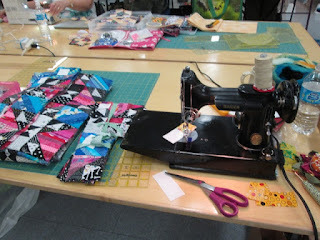 Saturday I went to the Quilt Till You Wilt with the Leduc Black Gold Quilt Patch. We did not have design walls but tables. 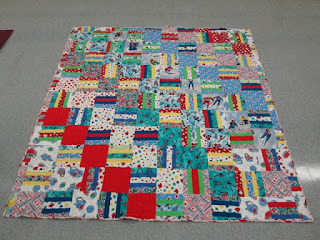 I got the rows sewn together for my Orca Bay Mystery by Bonnie Hunter. 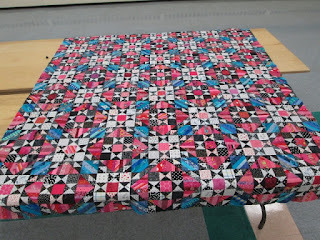 I am pleased with the pink and turquoise that I used. Now to work on the boarders. Here is the sewing table with some rows ready to be sewn. 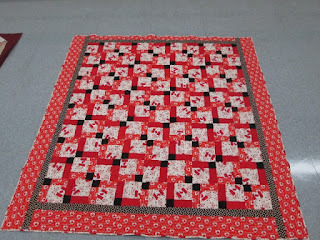 Jean had a finished quilt to show off on Saturday. 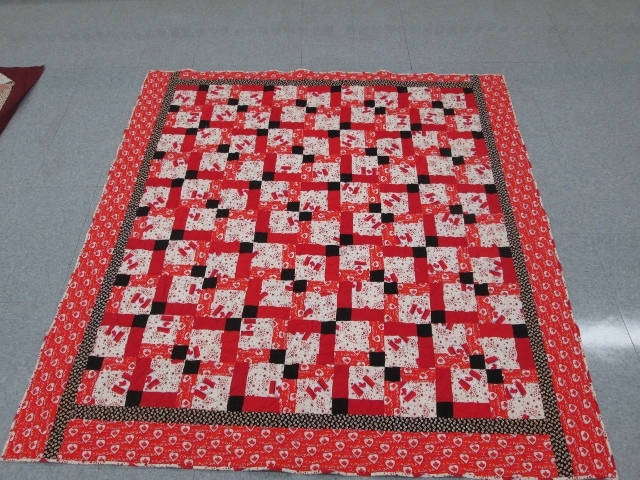 The red side is the front and below is made of flannel and is the back side of the quilt. 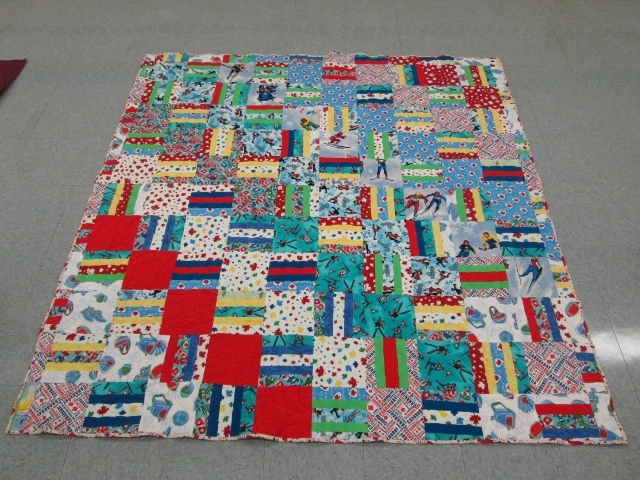 The quilt is for her grandson. I really like the Orca Bay and the turquoise is a fab addition to it, lovely!!! Your Orca Bay is going to be stunning, beautiful use of color.